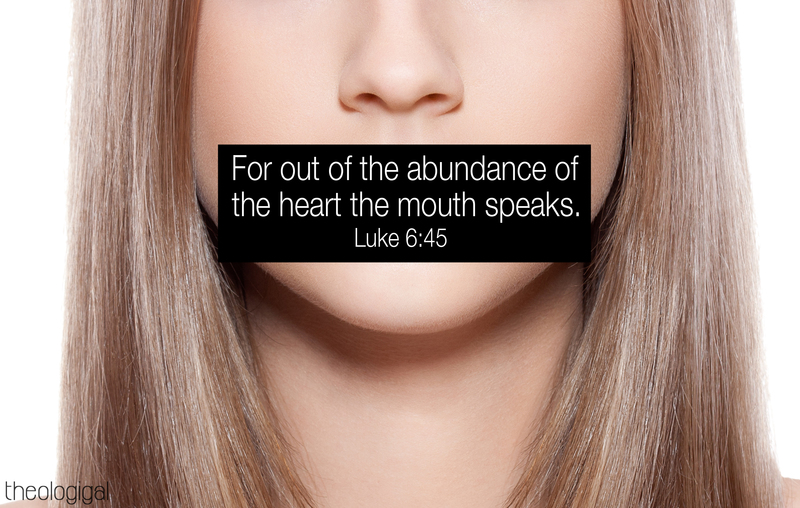 When I pray having this verse of scripture in heart, I pray, “Speak, O God. Your daughter is listening. Grant me ears to hear as a disciple so I may speak as a disciple.” Today, as I pray that oft desired heart, thought comes regarding the word spoken about Peter when he denied Jesus three times. Standing around that campfire, warming himself, watching to see what would happen with Jesus, people ask him if he is one of those who run with Jesus. One person there says, “Surely you too are one of them; for even the way you talk gives you away” (Matthew 26:73). Peter’s accent and speech told the story of his heritage. People who spend time with Jesus, seeking Him as a disciple, desiring to learn of and know Him as a child of the Living God, these hear Him and the things they hear effect the way they talk. Their speech is cleaner, refusing to dishonor God through cursing. They are not bitter, filled with anger, wrath, malice, and slander. They do not use smooth and flattering speech meant to gain approval, being deceptive or manipulative. Nor is their speech abusive, killing the soul and destroying destinies. Instead, they talk with hope for the future and gratitude for the present. They are bold in speaking truth, showing care for the listener’s eternity and their here-and-now relationship with Holy God. They are uplifting, having words filled with grace, as though seasoned with salt, knowing how to respond to each person, able to “speak a word in season to him who is weary,” imparting discerning wisdom with truth and love. Beloved, when standing in a crowd, does your way of talking give you away as being different, as being a disciple of Christ? Does your speech make it clear to others that you have been with Jesus that day as a faithful follower, His Kingdom representative? Do people tag along with you because of the inspiration flowing through your mouth and lifestyle? Speak, O God. Your child is listening. Grant me ears to hear as a disciple so I may speak as a disciple.